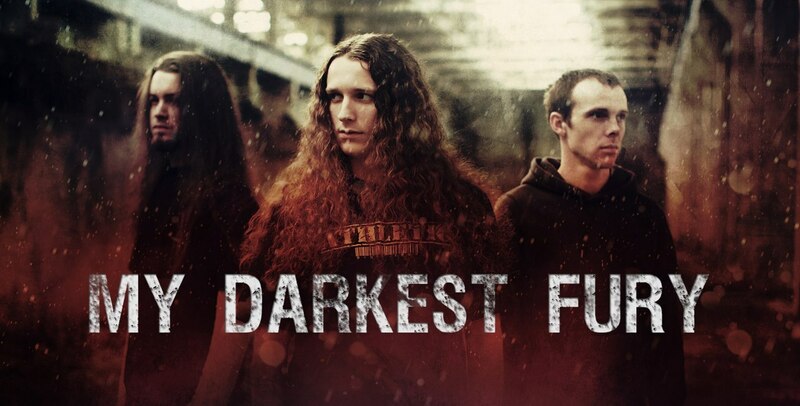 My Darkest Fury is a Russian groove/death with melodic influences metal band from north-west region, formed in March 2003 by guitarist Vadim Smirnov. In 2004, formed the backbone of the group represented by Vadim Smirnov (guitar), Artem �Tempa� Monastyrev (vocals, samples) and Alexander �Polzik� Manichev (drums). Started to play in the style of melodic death metal, searched own style, later recorded their own demos of several unreleased songs in 2006, which will be included in 2011 �Years Of Hopes� (EP). The team then develops, trim staff and started composing new material and actively gives concerts. The concert program features sea drive and behavior on stage. Music of My Darkest Fury is a mixing of different styles of metal, where every listener can learn something for yourself, especially can be identified: swinging riffs,rhytm section, catchy melodies and a variety of vocal lines. In 2009 the band recorded a full length album entitled �Return To The Real World�, which consists of nine tracks, which was released on the label "FONO LTD." February 16, 2010. In support of the album was organized by Russian tour, which included 12 cities. A New Year's Eve, December 31, 2011, band issued the second release �Years Of Hopes� (EP), which consists mainly of cover versions of well-known groups. In recent years, only expanding the geography of concerts and the group has managed to play for this time with a well-known European groups and the strongest representatives of the Russian scene. In recent years, the geography of concerts only expands and the group has managed to play during this time with the known western groups - Avulsed (Spain), Necronomicon (Germany), Crionics (Poland), Hate (Poland), Torture Killer (Finland), Fleshless (Czech Republic) , MyGrain (Finland), and with the strongest representatives of the Russian scene - Merlin, ??????? ?, Inexist, Fourth Dimension, Grenouer and others. In 2014 MDF issued second full-length album �Hectic Existence�, which consist of nine tracks.